Get ready to celebrate the season while supporting a good cause! 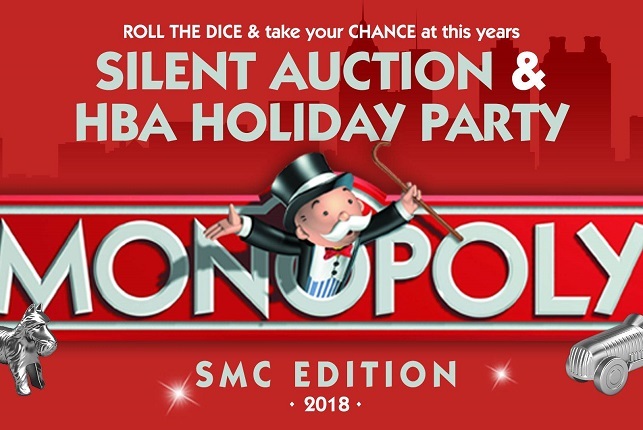 The Greater Atlanta Home Builders Association’s Sales and Marketing Council will be hosting the annual SMC Silent Auction/GAHBA Holiday Party on Thursday, December 6, at the Omni Hotel at the Battery Atlanta. All proceeds from the evening will benefit HomeAid Atlanta, the designated charity of the GAHBA. Guests will enjoy heavy hor d’oeuvres, drinks and music while they browse the wide selection of auction items. Items available in the auction will include artwork, electronics, gift baskets, vacation packages, event tickets, jewelry and much more. It will be a wonderful opportunity to take home some great Christmas gifts! Along with the auction, the event will include casino games and a fun photo booth. There will also be a wine raffle featuring more than 40 bottles of wine from around the world, ranging in price from $20 to $150. Tickets for the raffle are $20 or $100 for six. Last year’s SMC Silent Auction/GAHBA Holiday Party raised just over $10,000 for HomeAid Atlanta. HomeAid’s mission is to “build new lives” for homeless families and individuals by helping build and renovate housing facilities for homeless service providers in the metro Atlanta area. This is accomplished through generous donations of construction services and materials from members of the home building industry. The cost to attend is $45 for GAHBA members and $55 for non-members. For more information, contact Emily Raymond at (678) 775-1446 or eraymond@atlantahba.com.